I'm working through my new work schedule and trying to find the time to fit in all my training runs. I caught a break on Thursday by working from home. That was good for over six miles, something that I couldn't have done if I was driving to my office that morning. I was back to the drive on Friday morning and couldn't fit in a run before that. The saving grace is that my new office is in an enormous building and I cover a lot of ground on foot during the day. This morning I targeted 4 miles around the neighborhood. I plan to run as close to 11 as I can on Sunday. Just for a change, I wrapped my run around the neighborhood, following Jericho Turnpike west to South Oyster Bay road and then onto Terrahans going east. The change of scenery was welcomed and I figured that this new route would distract me for the first two miles and make the overall run feel shorter. That sort of worked, even though I added another 2/3 mile to my distance. I feel that I'm running exactly the same way and expending the same amount of energy that I did a year ago. Now my typical pace is now almost a minute slower. I used to be able to sustain sub-9 paces with a focused effort. These days I'm happy when I see that I've averaged mid-9's. Today I didn't even break 10:00. I'd hope that my weekly speed workouts would have moved the needle, but I've seen little payoff from it. 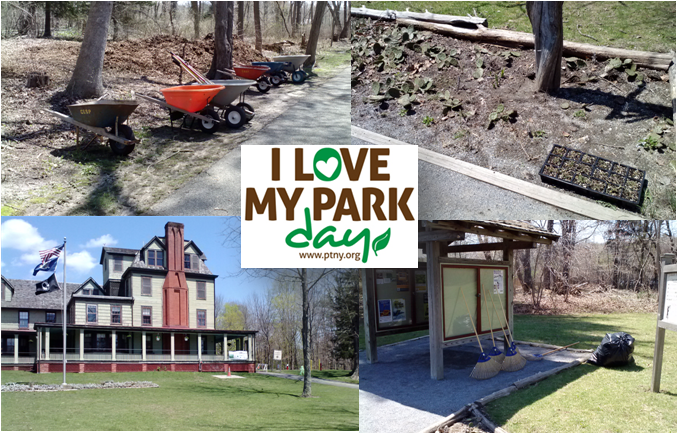 Later in the day, we all headed to Caleb Smith State Park in Smithtown for "I Love My Park Day." Last year we planted a tree and were looking forward to this year's tasks. However, when we arrived at noon, the event organizers were wrapping things up. Our information said that activities would go until 3:00 PM, but it was incorrect. We were disappointed, but it didn't prevent us for spending an hour hiking the trails. If everything works out, we'll have a Runsketeer run tomorrow morning that includes a couple of guest runners (J who I met on the bike trail two weeks ago and his wife). I'm very curious to see how I hold up for 11 miles or more. 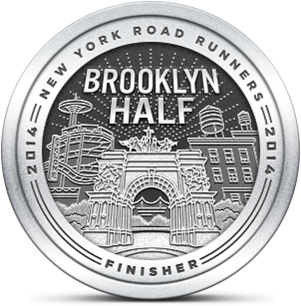 Only two more Sundays before the Brooklyn half, and I need to make them count.